Globalization refers to an increasing level of interdependence among the countries by a number of ways like free flow goods and services, free movement of labor, different sectoral and political openness, military alliances, etc. It is a buzzword in today’s world, yet the degree to which different countries around the world should become integrated remains a matter of controversy. With the advent of Globalization, the developing countries have taken a number of structural adjustments and different measures to achieve competitiveness, efficiency in resource allocation and development of human resources. Human resources are the catalyst of development for a country and the government of a country should lay high emphasis for the development if its human resources. But there is fears that most of the rapidly growing populated developing countries will not have enough purchasing power at the disposal of their consumers to enable them buy the imported food (Haq, Khadija 2002). Moreover, most of the South Asian countries have very low level of reserves and are facing external debt problem leaving no room to ensure food security through reliance on imports (Valdes, A. and A.F. McCalla 1999). In this backdrop, it is worthy to analyze the impact of globalization on the human resources development of the developing nations. Globalization brings diversity and innovative way of working in Bangladesh. Basically the era of globalization practices of HRM from recruitment to industrial conflicts are brought by Multinational Enterprises (MNE’s) by sending expertise or recruiting host country expertise. MNE’S HRM practices in Bangladesh has an impact as difference between headquarters and host country’s in aspect of culture, education, demographic which has considerable impact on global practices. It is unlikely standard practices will be successful regardless of geographic region. In this report we try to find the issues and sub-issues cause problem in HR practices and proposed the solutions to overcome the barriers. The prime objective of the paper is to identify issues related with globalization and its impact on human development. However, the specific objective of the paper is to evaluate the contribution of Globalization on the human development of developing countries by focusing on the areas where the countries reaped benefits and where they faced obstructions due to globalization. The paper is based on secondary materials. Several articles of the renowned economists are consulted to get a clear concept of the topic in respect to objectives mentioned above. Besides, different other publications like Human Development Report, UNDP report and World Bank report, etc. were also consulted to make the paper informative and objective oriented. Human resources management was termed people management in early days where human are being treated as resources like machineries but the HRM brings the concepts human is sustainable capital. 1. Recruitment: there is significant vast difference between MNE’s from western country’s and host country recruitment process. 2. Employee relation: we will explore individualism VS collectivism, employee performance appraisal, employee participation, motivation, commitment and trust and so on. 3. Industrial relation: we will discover the involvement of trade union, employer association, Joint consultative committees (JCC’S), and government policy in industrial relation and also the impact of trade union law and union density rate and there correlation approaches. Research Methodology can be divided into three separate ways for making the research proposal effective. These three methods are exploratory, descriptive, analytical and predictive methods. As this Globalization and its impact on HRM practice itself is a broad topic, in this case Descriptive method will be most effective. Descriptive method is generally used to identify & clarify elements of the subject by analyzing every aspect of the collecting data. Emphasize on collecting data regarding HRM practice in Southeast Bank Limited. Concentrating on measuring scale or range of inefficiency funds or lending of money as well as analyze bank’s movements towards the global HRM practice. Globalization as the seemingly relentless integration of economies, societies and cultures into a borderless worldwide communications (Morrison, 2010, p. 32) technology and supply network is a world-transforming process…not all which is pleasant,” Although globalization is, and will probably remain for some time, one of the most nebulous and misunderstood” concepts (Beck, 2001, p. 19), there is some common ground to be found among all the confusion. That is the idea of connections and relationships that go beyond the immediate, local environment (Gray, 1999). Globalization is the process by which all peoples and communities come to experience an increasingly common economic, social and cultural environment; but globalization as a theory, deals with the compression of the world and intensification of consciousness of the world as a whole” (Robertson, 1992, p. 8). However, while the theory of globalization is relatively new, the process is not (Epstein, 2002). Robertson (1992) further states that globalization was initially discussed from economic perspectives, but soon after it became a topic for discussions among intellectuals from cultural perspectives as well. Therefore, it is essential to interpret globalization from both economic and cultural perspectives simultaneously to grasp its impact in every walk of life. According to Giddens globalization is the dialectic of homogenization and heterogenization” (1991, p. 22). In other words, globalization, by intensifying the interconnectedness among different people, things, and ideas, homogenizes the world and yet at the same time, the world becomes heterogenized as people are more aware of differences due to the increasing proximity with differences under a globalized world (Giddens, 1991). The notion of the world community being transformed into a global village, as introduced in 1960 by Marshall McLuhan in an influential book about the newly shared experience of mass media, was likely to be the first expression of the contemporary concept of globalization (cited in Epstein, 2002). Despite its entry into the common lexicon in the 1960s, globalization was not recognized as a significant concept until the 1980s, when the complexity and multidimensionality of the process began to be examined. Prior to the 1980s, accounts of globalization focused on a professed tendency of societies to converge in becoming modern, described initially by Clark Kerr and colleagues as the emergence of industrial man (cited in Robertson, 1992). Primary data is a collection of data from different sources which is not yet been used by any people as a subject or not yet processed by any management. It is also known as raw data which is relatively same. Here, to get a statistics from the survey we can use computer or analysis b the experts. We will collect primary data by making a sample questioner to the employees or the authorities of the bank having answers from them. Much of the research involves getting information from employees of the bank about their perceptions concerning the HRM practices and the impacts of it in globalization. Secondary data is already established b some other person not b the person who is using this data. We will collect secondary data from the website of Southeast Bank limited and other HRM and related websites. We will also try to find data from the globalization related books and websites. We will information the selected bank from the Southeast Bank ltd’s website where annual report, employee responsibilities, their profile, vision, mission etc. are available. We will collect the information of the human resource managment practice and its impact on globalization in Bangladesh find from the different websites of Bangladesh. It doesn’t mean (Jon cunwin-‘Quantitative methods for business) haphazard selection. It means each member of the population has some calculable chances of being selected, not always equal chances as we see. It also means the converse that there is no one in the identified population who could not be selected when the sample is set up. Random sampling gives chance to every individual to be selected. Some population has groups or cluster which adequately represent the population as a whole for the purpose of survey. It can be said that pupils from a particular school would have many experience in common with pupils from a particular school that the errors in one file vary to another file. For making the survey of gathering information about globalizations impact on HRM practice in Southeast Bank Ltd a group of employees of Southeast Bank Ltd will be selected in a cluster basis. The most usual form of non random sampling is the Quota sampling. In this case varies characteristics of the population identified as important for the purpose of survey. In judgmental sampling there is no group of people select by the surveyor to take chance or judge. This method is normally used when sample size is small & researcher wants to use the local knowledge. In this case employees experience towards HRM practice in Bangladesh will be analyzed. As the name suggests a sample is selected on the basis that it is easy to obtain & does the job. Convenience sampling is a quick& low costs solution. It may be convenient to select our friends or a particular enquiry. In this process data will be collected from the employees whose practice is most important for this topic. At the time of presentation, some graphs, charts & related tables of HR practice in Bangladesh with compare the other countries with a study on Southeast Bank Ltd will be shown to analyze the topic. Charts from varies economic or business journals is very much essential for presenting in a better or clear way. Focus group interview- A Focus (Mahhotra & John -2002) group is an interview piloted by a most trained people with great experience with few people. The moderator leads the discussions. The main purpose of focus group is to gain insights by listening to a group of people from the appropriate target market talk about the issues of interest to the researches. Focus group is the most important aspect in a qualitative research. The group size should be 8-10. Depth interview- A depth interview is an interview where the communication is one to one where both can feel free to give interview which can go though them in depth. It is totally different from the focus group interview which is taken on a group. It is also unstructured. But it is done by person to person which is a better idea to conduct a survey. It is generally take by the high level skilled professionals. He or she focus on the employees believes, attitude and motivation which is more effective in HR practice. It naturally takes half an hour to one hour. The advantages of doing this interview are it goes deeper discussion that focus group interview. Both can freely exchange their views which are not possible in focus group interview method. Here respondents always feel free to answer the questions with their own observations in word where questions are also free. The survey method is obtaining information is based on the questioning of respondents. Respondents are asked a variety of questions regarding their behavior, intentions, attitudes, awareness, motivations, demographic & lifestyle characteristics. The size of the survey will enable statistical analysis to be applied to any hypothesis. The questions may be asked verbally, written, computer systems. It involves separate questionnaires to a willing & a co-operative responds. The respondents require some questions to answer which questions are prepared by the surveyor before questioning the respondents. This method has several advantages which are in this method questionnaire is simple to administrator; data obtained are reliable because the respondents are limited to the alternative stated. The use of fixed respond questions reduces the variability in the result that may be caused by the differences in the interviewers. Finally coding, analysis & interpretation are simple. It has different types-Central location Personal interview, Telephone interview, electronic interview, mail interview. Central location Personal interview, this research methodology is characterized by basing the survey. This survey is located in a place where the targeted people are mostly available. This method records the pattern of behavior of the people, their attitudes and gestures in a proper way or we can say in a methodological way. The observers or the surveyors do not directly feel the people attitude and they do not even directly communicate with them. Generally information is recorded or collected from the past occurrence. Observation method may be structured or unstructured, direct or indirect. Techniques such as ethnography & case study methods are involved here to find the certain types of information. How practice Human Resource and its impact on Globalization in context of Bangladesh? 1997). Only those societies that have acquired relevant knowledge and skills can compete successfully in the global markets. To harness the benefits of globalization, education and training become a priority (Wan Hooi Lai, 2003). Education leads to many social benefits, such as improvements in standard of living, health & hygiene, reduction in infant and child mortality rate, etc. The education index, used in the computation of the HDI, itself consists of two components, i.e. adult literacy (with two-thirds weight) and the combined (for all levels) gross enrollment ratio (with one-third weight)(Haq, Khadija (2002). In this regard, the following table 1 and table 2 show the condition of adult literacy and gross enrollment ratio of the South Asian Countries. Source: UNDP Report 1993, 2002. Notes: a. 1990-91 date is of 1992-93. From the above tables 1 and 2, it is evident that South Asia has made substantial progress in education over the decade of nineties as the literacy rate increased for both the male and female and the overall literacy rate increased at least 2% (for Maldives) to 16% (for Nepal). Mentionable is that Maldives and Srilanka both had achieved literacy rate of over 90% at the beginning of the new millennium which is considerably higher than regional average of 54%. On the other hand, though Nepal, Bangladesh, and Pakistan entered into nineties at lowest literacy rates of 26% and 35%, but gradually the overall rate increased by 16%, 6% and 8% at the end the decade. Similarly, the enrollment rates for all the countries also increased for both the primary and secondary level over the decade. Alarmingly, the status of Pakistan is at the lowest position among the South Asian countries where as Maldives is the best performer among them. Trade liberalization helps the people of country to increase their life quality by lowering prices of imports and keeping prices of substitutes for imported goods low. Most developingcountries reaped benefits in this issue as the per capita income of those countries increased dramatically. This is even more applicable for South Korea, Malaysia, Thailand, India, Vietnam etc. These countries have opened their economies in recent years and have experienced faster growth and more poverty reduction (Dollar 2001). On average, those developing countries that lowered tariffs sharply in the 1980s grew more quickly in the1990s than those that did not (Dollar, op. cit., 2001). Again, imported products that might be especially important for the poor people of a country include basic foods, pharmaceuticals and other medical or basic health products, and used clothing. The poor may also be benefited significantly from removal of export taxes or prohibitions. An example of trade liberalization resulting in tangible and immediate benefits for the poor is the African Summit to Roll Back Malaria, held in April 2000, at which the continent’s heads of state pledged to reduce or waive taxes and tariffs for mosquito nets, insecticides, antimalarial drugs, and other goods and services needed for malaria control (Bannister Geoffrey J. and Thugge, Kamau, 2001). Again being infzuenced in international trade, the productive resources of a country are channeled into the economy’s comparative advantage industries. Because of this redistribution of resources, overall output produced (GNP) raises. The following figure 3 compares the gains to developing countries that are projected from the removal of merchandise trade barriers in the industrialized countries with the gains that they are projected to receive from removing their own barriers by 2015 as a percent of GDP. Figure 3 shows that the total gains to developing countries from reducing their own barriers are substantially larger than the gains they are projected to receive from the reduction of barriers in the industrialized countries. Moreover, overall gains to developing countries from liberalizing their own merchandise trade barriers are projected to be 1.2 percent of GDP, compared to 0.6 percent of GDP from liberalization in industrial countries. Trade liberalization has a direct impact on the employment scenario and wage condition of a country. Labor market of a country comprises rural, urban and informal sector. The informal sector, a part of the economy where businesses are not incorporated or otherwise registered with governments, has a significant role in income generation for the poor people and is also affected by trade liberalization. Employment in micro enterprises, especially in the informal sector, has increased at high rates in developing countries over the last 20 years. The proportion of this type of employment in the nine largest Latin American countries reached in the early-mid 1990s 58%, and the corresponding values for sub-Saharan Africa, North Africa and Asia were 74%, 43%, and 62%, respectively (Sainz P, and Young S, 2000). Again, globalization leads to the informalization of the economy through outsourcing and subcontracting by large corporations. Nike, for example, relies on a cascading chain of over 10,000 micro subcontractors. Trade liberalization typically results in an increase in labor-intensive exports such as garments, shoes, jewelry, etc. from developing countries. Employers in these industries often prefer to hire women, and the growth of exports of these sectors has almost always been accompanied by a significant increase in female wage employment in the formal sector. A study of 35 developing countries found a strong positive correlation between the female intensity of manufacturing (the number of female workers per 100 male workers) and export growth (Wood 1991). In Bangladesh, about 2 million jobs had been created in the garment industry by 1998, of which two-thirds were held by women (Paul-Mazumdar and Begum 2000). In Madagascar, women accounted for three-quarters of the country’s nearly 140,000 textile and apparel workers in 1999 (Nicita and Razzaz 2003). Moreover, 85 percent of the women in Madagascar found new employment in the textile sector had never directly received any monetary income, compared with 15 percent of new male entrants. Again, a study that followed 50 rural families in Mexico for 20 years found that a significant proportion of the women reported an improvement in their “quality of life,” due mainly to their income from working outside their homes, including in (export-oriented) factory jobs. The basic requirement of trade liberalization is to eliminate or reduce import tariff. But developing countries will incur substantial reduction in revenue from tariff compare to developed countries if they are to withdraw or cut import and export tariff. It is found that tariff revenue accounts for 10-20 percent or more of total government revenue in many developing countries. Now the question is how these low and middle income countries will keep their budgets in balance if tariffs are reduced or eliminated. They will have to impose large increases in other taxes like income tax, holding tax, VAT, etc. in order to keep their budgets in line. But such step will decrease the amount of disposable incomes of citizens each of the developing countries which will ultimately result in decline in the level of living standard or to buy those imported products. Most of the developing countries are still largely dependent of agriculture. When developed countries are transiting from industrial era to information era most of the developing countries are still entering into industrialization. Most part of their GDP still comes from agricultural sector. A bumper production of crops usually results in a hike in GDP or vice versa. On the issue of domestic support, developing countries farmers get subsidy from government in different forms. Usually fertilizers and electricity are provided at subsidized rate; capital is provided under simple conditions and at low interest rates. On the issue of Aggregate Measurement Commitments (AMS) Reduction Commitments, the member countries of WTO are committed to reduce domestic support that encourages domestic support and is therefore considered to distort potential trade flows (OECD 2001). Though developing country members with no AMS will be exempt from reductions in de minimis1 and the overall cut in trade-distorting domestic support, it is not sure how long this benefit will continue. Here it is worthy to note that under URAA (Uruguay Round Agreement on Agriculture) Art. 6.4, de minimis percentage for developed countries is 5% and for developing countries it is 10%. On the issue of export subsidies, an end date for all export subsidies in agriculture by 2013 has been agreed in the WTO meeting. This will also harm the developing countries more compare to developed countries. Because the share of export subsidies for developed countries is far smaller in overall agricultural support in comparison to that of developing countries. As for example, export subsidies consist of only 3.5 percent of the overall agricultural support provided by the EU. On the issue of tariff, if they are decreased, farmers will face tough competition against imported agro products. Tough competition may lead to reduction in price. In that case farmers may not be able to reap the real price of their product or they may not be able to sell their products at all. Though it is assumed that free trade will increase food security, but this assumption is under question. The goal of food security is in danger because increased market access was the hallmark of the free trade agenda. WTO agreement on Agriculture (AOA) has promoted an industrial model of agriculture that has jeopardized food security in developing countries. AOA had incorporated three broad areas of commitments from member states, namely in market access, domestic support and export subsidies. The global food chain is increasingly distorted by the disparities in power between global agribusinesses on the one hand and farmers and consumers on the other. For instance, the virtual removal of quantitative restrictions, the phenomenon of declining agricultural commodity prices in India since 1999-2000 had lead to a spate of farmers’ suicides in Punjab, Rajasthan, Karnataka and Andrapradesh ((Francis Sheelu, 2001). Alarmingly, 36 countries (all developed) have the right to impose special safeguard provisions if agriculture imports distort their domestic markets and these countries have used this provision 399 times till 19992. Thus due to negative effect of trade liberalization on agriculture, small and marginal farmers gradually displaced from food crop production. Mechanization has displaced the landless agricultural laborers. The farmers are also facing a situation where the cost of the agriculture inputs is much higher that the actual returns they get from their production. Moreover, the developing countries are flooded with cheap and highly subsidized agricultural imports and their agrarian economy has gradually been thrown out of gear. The farmers of these countries are facing severe marginalization and the tendency toward urbanization has increased alarmingly. Globalization paves the way for human development, side by side opens up a threatening situation where the human development factors are hindered to grow in a smooth manner. Again, it is evident that there are still significant economic gap between developed and developing countries. Moreover, the developed countries themselves still have protection in different sectors like agriculture, steel, textile, etc. Such scenario among the different counties of the world does not show a universally applicable principle of world trade. In such backdrop, what strategies the developing countries should adopt? Following are the few strategy recommendations for the smooth human development of the developing countries in general and Bangladesh in particular under a global economic structure. Agriculture is the main profession of about 80% of inhabitants of developing nations. It is widely acknowledged that agricultural development has a very healthy effect on human development through raising rural income. Due to high population pressure, low income of the farmers and low investment on land, the labor productivity in these countries is low. To get rid of such vulnerable situation, Government assistance in the agricultural sector is a must. It is notable here that despite the high per capita income of the developed countries like USA, EU, they provide, their government provide subsidy in the agriculture. Therefore, the government of developing countries should continue to give subsidy in agriculture without any compromise with the developed nations. (all developed) have the right to impose special safeguard provisions if agriculture imports distort their domestic markets and these countries have used this provision 399 times till 19992. Thus due to negative effect of trade liberalization on agriculture, small and marginal farmers gradually displaced from food crop production. Mechanization has displaced the landless agricultural laborers. The farmers are also facing a situation where the cost of the agriculture inputs is much higher that the actual returns they get from their production. Moreover, the developing countries are flooded with cheap and highly subsidized agricultural imports and their agrarian economy has gradually been thrown out of gear. The farmers of these countries are facing severe marginalization and the tendency toward urbanization has increased alarmingly. Any development paradox is the outcome of weak infrastructure. Both human development and agricultural development are channeled into social and physical infrastructures in the rural areas. Unfortunately, the rural infrastructure of the developing countries, especially Bangladesh is still vulnerable. Besides, the rural areas and the people are prone to natural disaster, which hinders the rural development as well as human development. Therefore, the government of these countries should prioritize the rural infrastructural development. The development budgets (of the annual budget) of developing countries should include a significant allocation for the rural infrastructural development. Though South Asian countries have made considerable progress in the field of child education but the adult literacy rate is not still up to the mark especially in case of Bangladesh. Child literacy is a basic human right where as adult literacy is an integral part of development as it is essential to innovate and generate knowledge and to generate human resources. Though the Government of Bangladesh usually allocates highest amount of money in the education sector from its annual budget but still the allocated amount is not enough to cater the need of the education of 150 million people. Therefore, more allocation of money and more priority should be given on education sector for the development of both child literacy as well as adult literacy. Developing Industrial backbone is essential for developing countries especially for Bangladesh. This is because, most of the developing countries are agro based and over populated. It is not economically viable to depend on agriculture only. Therefore, if the countries can build industrial backbone then it will help them to be self-dependent. In case of building industrial base, globalization has a direct impact. First expertise from parent country will expect cultural sock in host country in term of security concern, time management, attitude to woman transport, local language, excessive bureaucratic. Culture shock leads expertise hostile approaches towards HCN’S. Cultural shock creates stress and lowers the productivity and moral of employee. In US, number of employees claim compensation due to work related stress (Stephen and Susan, 2006). Its expertise job to diffuse practices from parent country to host country it could be difficult because HCN’S also find it difficult in terms of different cultural of parent. Most importantly to overcome culture shock is coping with uncertainty but crucial for critical to success depends on is faster adaption. Person has the experience more likely perform well in host country rather inexperience EXPERTISE. Company need gives security to the employee’s family and fringe benefit such as children education, free housing, car, furniture etc. To get best output from Expertise Company need to make them feel live in home country. Language training is necessary to understand the local language to communicate effectively. Expertise failure causes for personal adjustment problem in terms of social, cultural, economic and political and that can solve by better selection, training and mentoring the expertise. US based carbon county board of commissioner chairman O’Gurek said that why they form union they do not need to tell us whether for social or economical reason we always been fair especially in this economic situation it’s become difficulty for the MNE’S to lobby against the union. So there is ongoing fight between capitalist and socialist. It’s become difficulty for the MNE’S to lobby against the union. So there is ongoing fight between capitalist and socialist. Martin (2002) said culture is largely unmanageable at the organizational level (L. Rosemary, L. Ben, and M. Hamish, 2006). MNE’s issues cross-cultural difference between nation and differences between national values and attitude. Schneider and Barsoux (1997) identified that problem exists in all society; different group will solve them in different ways. Corporate culture of parent is very difficult diffuse in the home country because values, behavior and attitude of people are significantly different. Interpret employee social and cultural values are sources of employee and management conflict. Labors demand and supply trends in the host country and their skills, industrial and technological advancement. And also section methods affect the parent recruitment policy at host country issue such as shortage of skills, favor etc. Maryann (2002) pointed that Monolithic organization is still viable which is isolating organization from pressure of change. Monolithic defender is usually preventing organization to adapt with diversity and make cultural integration. DU GUY et al found that issue also arise in different countries workforce knowledge, discourse, power and identity (Du Guy, 2002). French and Italy practice ER IN their organization in power Terms but in Britain is opposite. Universal approach of best practice of US based parent (high performance practice) ignore the societal aspect of host country because countries are differed as flexible adaption in Italy, diverse quality production in Germany sociotechnical in Sweden. It’s difficult for parent diffuse parent country practice in host country due to cultural diversity. Change senior management due the retirement brings changes in the leadership style which crates problem for employees to adjust with these changes. Gender obstacles are seen as main problem in many countries. Corporate language and subsidiary language could be different and that can creates problem in communication because translation takes time. Dowling and device identifies language could be the barriers for the communication between PCN and HCN. They focus on language standardization, dual language practice at work place Language; country like Germany prefer German rather English. Jin (1998) found that most Chinese, in English they are weaker conversational than written (S. Gunte and B. Ingamar, 2006). MNE’S need to reduce the local culture barriers by exporting parent culture and communicate with people the benefit of the standardization of practice. Reduce the level of interaction in cultural aspect and understand the local and practices hybrid culture for the commitment employees to achieves business goals. In terms of convergent or divergent approach parent have bring synergy. Boxel and Purcell (2003) identified for the sustainability of MNE’S developing innovative strategy and practice these to country to country (Mustafa 2005). Parent have able cope with changes in structure, procedure and employee relation practice of specific country socio-cultural aspect. MNE’S concern should be on organizational effectiveness or well-being of the employee rather strike focus on the cultural differences and adjacent. Low uncertainty avoidance by parent practices into high uncertainty avoidance subsidiary is very difficult to achieve. Manager in Britain have greater autonomy than German, so German expertise work in UK need to consider in mind. Work life balance is important issue for business operating international. Long working hour can creates workload among the employee, negative impact on their social and also negative impact on employees health. In result this will affect the job performance of the employees. Employment law varies from country to country where in the UK average weekly working hour is 48 but its longer working hour in Japan, US, and Australia. CIPD believes that employer should protect employee from continuously working long hour as it impact on the company overall productivity (Harris, Brewster and Sparrow 2004). Most of the writers give opinion to adapt with national culture they focuses on relationship with people, human nature, time language etc. Better understanding of these is vital to the business success. But Hofstede work does not take consideration cultural complexity and ignore the country’s sub-culture. Although it’s important for MNE’s to use his framework to identify the cultural issues affect their convergent approach to Host country. Hall and Hall (1990) considered communication in high context culture more focus on indirect (Japan, China) communication where low cultural (Britain, Australia) context are more direct communication. In most scientific enquiry (Peter-2000) research is primarily centered about controlled experiments in which efforts are made to hold conditions constant thus enables the effect of a particular sector of variables to be studied & measured. Any change observed to have taken place in the in the test of situation is measured, statistically tested by the measure of significance. According the result of test the change may be held to attributable to the intervention of the independent variables. For this research In-depth interview is the most appropriate one. Because depth interview is an interview where the communication is one to one where both can feel free to give interview which can go though them in depth. It is totally different from the focus group interview which is taken on a group. It is also unstructured. But it is done by person to person which is a better idea to conduct a survey. It is generally take by the high level skilled professionals. He or she focus on the employees believes, attitude and motivation which is more effective in HR practice. It naturally takes half an hour to one hour. The advantages of doing this interview are it goes deeper discussion that focus group interview. Both can freely exchange their views which are not possible in focus group interview method. Here respondents always feel free to answer the questions with their own observations in word where questions are also free. To do this research we will use questionnaires which are needed to collect correct data from the employees of the Southeast Bank Ltd where the employees are well-educated. We will conduct a pilot study to collect proper information. With this statement (Sullivan and Gilbert 2004) suggested that pilot testing be required to create a high quality of questions because the test helps to identify and eliminate potential problems. Piloting can involve a pre-test of the conducted questionnaire on a small of respondents to certify the validity and reliability of the questions (Gill and Johnson, 1997). By the depth interview questions was done to ensure that the questionnaire consisted of an appropriate subject based on the research’s topic. It was concluded that the questions were suitable to the study and that the final answers version could be released. Validity is significant in doing such research as it allows the research to be both meaningful and interpretable (Symon and Khan1997). According to (Campbell-2005), validity is the ability to measure what is supposed to be measured. The most common way is to measure the face validity of the questionnaire (Karon-2000). According to (Pallant-2005), internal consistency is commonly measured by using a statistical tool called the Cronbach’s coefficient alpha, which judges a score greater than 0.7 as indicating a reliable logic. Reliability refers to the consistency of a measuring instrument, i.e., the internal consistency Nachmias (1992). This is “the degree to which the items that make up the scale are all measuring the same underlying attribute” (Micheal 2000). effective. 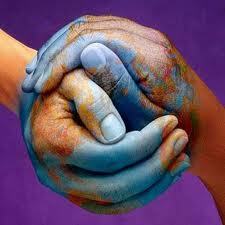 By globalization an countries people work together . For that there has a nice combination of language and cultural diversity . In Bangladesh If we want to make effective in human resource management at first we need to keep peace with globalization . The impact of globalization customer change their product demand only human resource management can know how they can fulfill their demand . So the impact of globalization on human resource management in Bangladesh plays a vital role to change our present position of our human resource management . We will collect primary data by making a sample questioner to the employees or the authorities of the bank having answers from them. Much of the research involves getting information from employees of the bank about their perceptions concerning the HRM practices and the impacts of it in globalization. We will also collect secondary data from the website of Southeast Bank limited and other HRM and related websites. We will also try to find data from the globalization related books and websites. In this report we try to find the issues and sub-issues cause problems in HRM practices and proposed the solutions to overcome the barriers. 1.Behrman J, Birdsall N, Székely M. (2000) Economic reform and wage differentials in Latin America. Washington, 1.DC, Inter-American Development Bank, 2000 (Research Department Working Paper No. 435). 2. Brown, D., A. Deardorff, and R. Stern, 2001. “CGE Modeling and Analysis of Multilateral and Regional Negotiating Options.” Ann Arbor, MI. : University of Michigan, School of Public Policy. 4. Cornia GA, Kiiski S.(2001) Trends in income distribution in the post World War II period: evidence and interpretation. Paper presented at: UNU/WIDER Conference on Growth and Poverty, Helsinki, 25–26 May (available at http://www.wider.unu.edu/). 5. Cornia, Giovanni Andrea Cornia (2001), “Globalization and health: results and options”, Bulletin of the World Health Organization, ISSN 0042-9686. 7. Dollar, op. cit., 2001. 8. Francis Sheelu (2001), “Trade Liberalization in Agriculture and Food Security: Impact On Peasant Women”, Asian Women Workshop on Globalization Manila 22-24th Nov.